Tom McCutcheon talks with us on most important factors to build a facility. Check out Tom’s video! 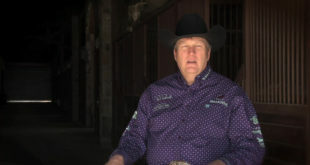 Tom McCutcheon answers the question, “Do you really make money?” in this latest “Ask Tom Anything!” Check out Tom’s video! 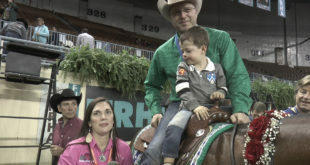 How did Tom McCutcheon decide to be a trainer? 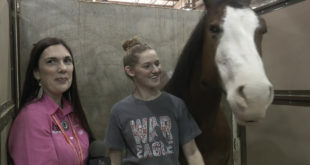 Was there one special horse that made him want to train? Check out Tom’s latest video to find out the answers! 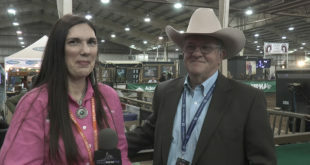 Brian Bell talks with us about the best horse he has ever ridden. Check out Brian’s latest video! 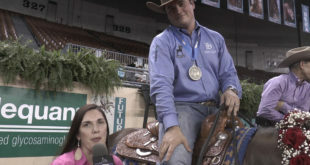 Morey Fisk won the Level 2 Open Futurity Championships, Check out his interview! 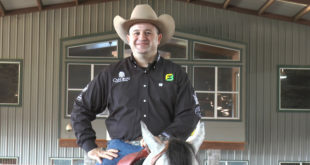 Marco Ricotta scored a 220.5 to win the Co-Championship in the Level 3 Open Futurity! Check out Marco’s interview! 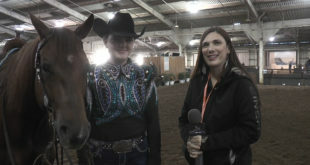 “Elvis” is in the building and Casey Hinton won the Co-Championship in the Level 3 Open Futurity with him! Watch his interview here! 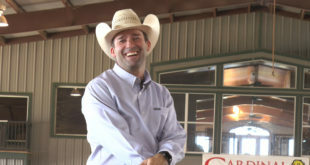 Adam Hendrickson scored a 220.5 in the Level 3 Open Futurity, earning him a Co-Championship! Check out Adam’s interview! Dave Silva saw something special in Hollywoodstinseltown from the time he was born! Hollywoodstinseltown reached Million Dollar Sire status earlier this year and was honored tonight. Check out Dave’s interview! 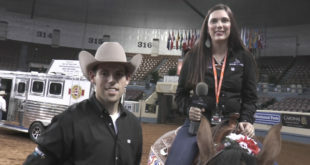 Gabriella Kammerer won the USA Reining 16-21! Check out Gabriella’s interview! 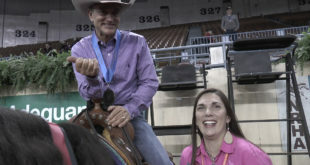 Dani Latimer had a great week coming back in the Non Pro Futurity Finals and winning the USA Reining 14-18! Check out Dani’s interview! 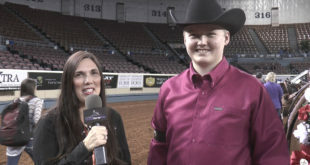 Camden Wilson won the Youth 14-18 and the North American Affiliate Youth 14-18 Championship! 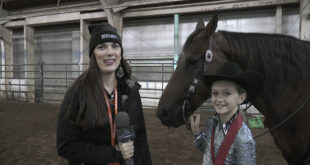 Check out Camden’s interview! Mandy McCutcheon and “Flower” had the Best Nite Ever! 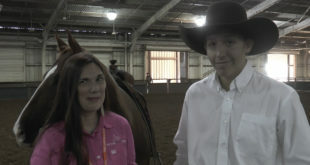 After a runoff, this duo marked a 219 to win the Non Pro Level 4 Futurity! 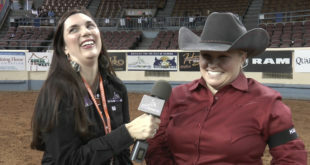 Check out Mandy’s interview! Cade McCutcheon won the Youth Non Pro! 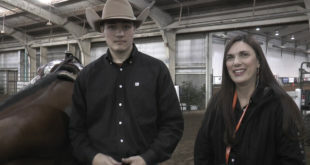 Check out Cade’s interview! Kelle Smith won the Prime Time Non Pro! 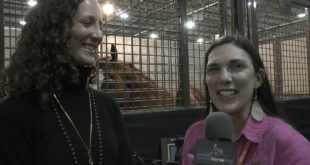 Check out Kelle’s heartfelt interview as she talks about her horse. 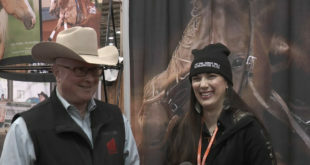 Carlee McCutcheon at 12 years and Jim Morgan at 72 years are the youngest and oldest to come back for the Level 4 Non Pro Futurity! Check out their interview! Sam Flarida went out with a bang in both the year and the last run in 13 & Under! Check out Sam’s interview! 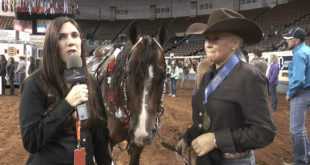 Raeanna Thayn and Coded N Karma won the USA Reining 13 & Under and the North American Affiliate Championship 13 & Under! 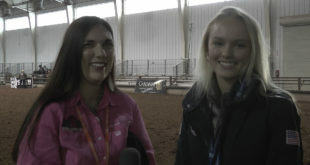 Check out Raeanna’s interview! 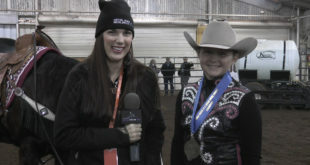 Kendall Wigen competed in her last 10 & Under Short Stirrup today, and she rocked winning the Co-Championship! Check out Kendall ‘s (and Jay’s) interview! 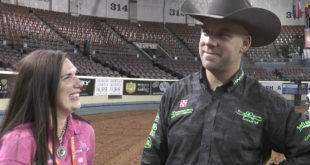 Markel has been sponsoring the futurity sales for 25 years! Frank Costantini, Jr. has been here for them. Check out Frank discussing the sales and Markel Insurance!